Francesca Hartop, Founder & CEO, Zebu Compliance Solutions The last three decades have witnessed a surge in complexities associated with healthcare compliance. Constantly changing compliance regulations have always run parallel to the healthcare sector’s evolutionary shape shifting amidst the impending waves of digitization. The healthcare system is a foundation of human welfare; patient, provider, and payer resources ought to be focused on the facilitation and delivery of care, and minimize unnecessary administrative burdens. Yet today, it has become a herculean task for all entities in this space to stay abreast and aligned to newer and dynamic compliance mandates. “Simplicity and transparency in healthcare compliance,” is the philosophy strongly advocated by Francesca Hartop, founder and CEO of Ohio-based Zebu Compliance. In her impressive, three decades long career in the healthcare space, Francesca witnessed firsthand the increasing complexities in healthcare compliance. Today, with Zebu Compliance’s team of experts, Francesca materializes her vision to make compliance more tangible and achievable for everyone in healthcare. "Zebu serves clients in all fifty states in the country"
“At Zebu, we have three words; simpler, smarter, and better - that we write all over the place including walls, whiteboards, and during meetings. We constantly brainstorm to drill down to the bottom line that our customers need to know and to ensure our clients get the answers from our system in an entirely transparent and readily accessible manner,” says Francesca. Zebu partners in the role of compliance expert with their clients, providing strategic approaches and product offerings that deliver improved medical coding efficiency, reimbursement assurance, auditing toolsets, claim accuracy, credentialing, and exclusion monitoring. From an integration standpoint, all of Zebu’s offerings are modular and accessible via APIs, web connections, and even in offline mode. Moreover, standardized dashboards enable clients to attain a broader picture on their risk profile through color coded assessments, error rates, and dynamic trends, all with the ability to trace information all the way to the source. 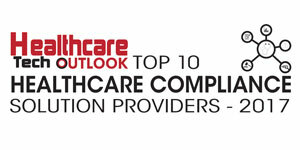 Zebu’s compliance solutions and tools speak to the spectrum of healthcare service delivery. As Francesca emphasizes, healthcare begins with the right provider, and Zebu’s EPStaffCheck addresses this first stage of compliance. Every provider, employee, and vendor of a healthcare workforce must be compliant with OIG, GSA, and state exclusion and sanction checking every 30 days, which can be difficult to maintain. Zebu’s EPStaffCheck provides automated exclusion, licensing, and disciplinary monitoring for staff and vendors. With proprietary AI-based capability to even check for mispellings, nicknames and dubious data elements, EPStaffCheck’s automated service monitor prevents accidental lapses. EPStaffCheck returns specific warnings with very clear next step actions that ensure clients get a foolproof audit trail. “Auditors in every state have given it the thumbs up,” states Francesca. Providers can manage EPStaffCheck in-house with their staff, or avail themselves of the Enhanced Service, whereby Zebu experts manage monthly checking and follow-up. Zebu’s team can verify potential matches, identify ‘red flags,’ and even respond to auditor requests for documentation. “Once you have the right people doing the right work, the next step is to review the services being provided. And that’s where our ClaimScrub product comes into play,” mentions Francesca. Zebu’s ClaimScrub provides complete claims validation; providers can leverage the offering before submission, payers before payment, and auditors during review and recovery. From coverage to correct coding to reimbursement calculation, ClaimScrub provides full or partial claims scrubbing for providers, payers, TPAs, self-funded plans, and clearing houses. For clients who need to set their own rules, the company offers an embedded custom edit module, ensuring consistency and transparency. Zebu can also provide pre-service cost and share of cost estimations, so that patients receive accurate information, preventing unexpected costs after the service, or deferral of medical services because of too-high cost estimate shock. Supplementing the existing claims-based analytics available through the ClaimScrub Dashboard, Zebu is adding predictive performance and evaluation metrics to allow more pro-active compliance and risk management by clients. To assist in correct claim production prior to validation through ClaimScrub, and to navigate the massive pool of procedural and diagnostic treatment codes, Zebu’s EpiCoder helps users hit the coding bull’s eye. EpiCoder simplifies tedious coding tasks and lets users customize the interface using a simple drag-and-drop, to reflect the information they want to see at a single click, saving hours of time every week. EpiCoder combines a wealth of coding information including fee schedules and modifiers, coding tips, Medicare and private payer coverage policies, and effectively displays them to be easily accessible by coders. The company’s ABN Assistant offering—a front end medical necessity tool—facilitates Medicare and private payer coverage transparency, and allows users to generate patient notifications with detailed explanations. ABN Assistant also enables ordering physicians and their offices to understand the restrictions related to diagnosis, frequency, or place of service, and to provide all information pertinent to meet coverage requirements. With its ability to search both previous and future dates for medical necessity coverage and to view details at any time, ABN Assistant can also provide valuable insights for correcting suspended claims. With all of its products, including ABN Assistant, Zebu provides unlimited policy and customer support from the company’s nationally certified coding and compliance experts. All of Zebu’s products are ultimately driven by DataTank, which houses a vast collection of data and metrics that are updated daily, with an average of 10,000 changes per week. DataTank provides readily accessible, platform-agnostic, primary-sourced data sets, with historical records dating back to 1984. Realizing the ongoing data needs for legacy systems, Zebu also offers flat file implementations of most of their data sets. Although Francesca does not recommend the data file strategy owing to its inability to keep clients updated with the changing regulations in real time, she acknowledges that it satisfies a large number of legacy systems that are not API and web-friendly. Zebu goes above and beyond to meet unique client needs. For example, the billing system of a multi-location outpatient specialty care clinic defaulted to last provider seen. The system did not prompt the coder to confirm the provider, resulting in claims routinely generated with the wrong provider, a looming compliance problem that was time-consuming to catch. So Zebu built a custom API that pulled the providers’ schedules from a separate scheduling utility and integrated that into the ClaimScrub processing routines. Now every claim is checked against the provider’s work schedule, flagging mismatches, and eliminating manual review by staff. For another client, Zebu mapped the data from their legacy system to the custom rule module in DataTank, and simultaneously increased functionality and complex rule implementation capacity that the previous system lacked. The client benefited by not having to re-establish the extensive rules they had developed over the previous decade, the ability to add necessary new elements to the old rules, and saved countless months of staff time during the transition and ongoing saved hours with the new automated rules. With its comprehensive set of solutions, Zebu enjoys working with clients from all fifty states, across every specialty. This has, in turn, made the company capable of generating very targeted benchmarks and analytics services via the ClaimScrub DashBoard. “When we are able to monitor this breadth of claims and specialties, we are able to provide a much better match against overall provider usage, speciality-specific usage, both at the national and regional levels, including adjustments by patient demographics,” says Francesca. On a continual quest to make compliance effective and efficient, Francesca has guided Zebu Compliance Solutions from a nimble startup to battle-tested systems steeped in rich expertise capable of delivering multidisciplinary compliance solutions. From a management perspective, the company strives to be as flat as possible with employees from varying disciplines working together. Francesca believes that such an approach enables every employee to add value in addressing clients’ team-based workflows, and anticipating future demands. “Healthcare is taking care of people, and it is hard to find something more rewarding or important to wake up to every day. It’s the responsibility of everyone in the healthcare industry to take a custodial role and figure out how we can provide the most ethical and responsible care we can, in an economically and ethically sustainable framework,” concludes Francesca.